Trend designer BlackBird created a fun new summer collection with this slim cut polka dot design. 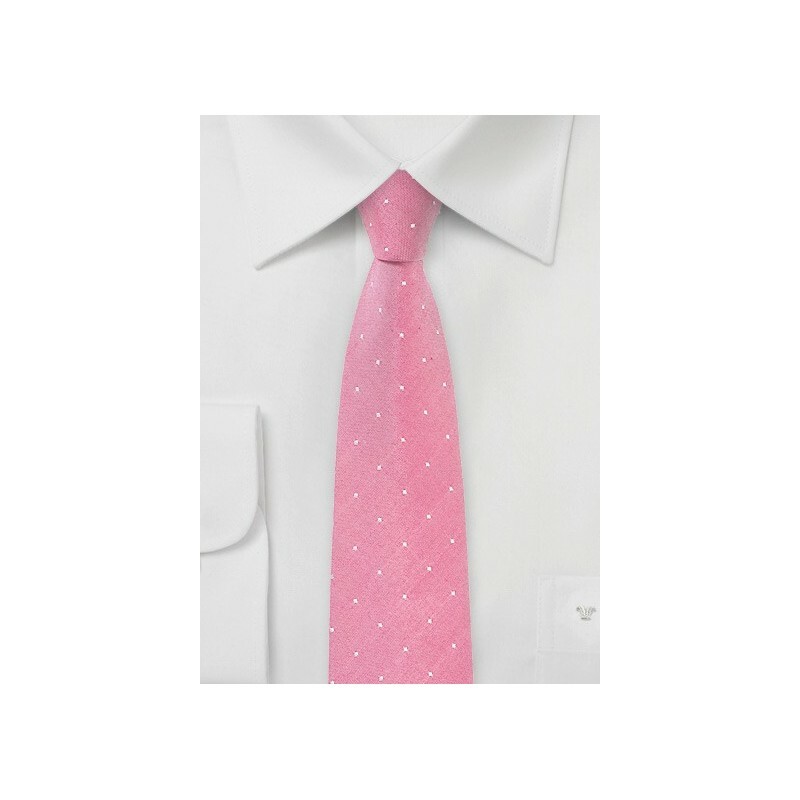 The confetti pink color paired with a matte summer fabric creates a superbly looking summer tie. While certainly a fantastic accent piece to all suits in gray, black, navy, and tan, we like it most in combination with a medium blue linen suit, white shirt, as well as silver tie bar. Made from woven fabric consisting of silk and cotton. 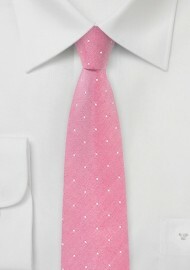 60% Silk, 40% Cotton | Length: 58", Skinny Width: 2.75"